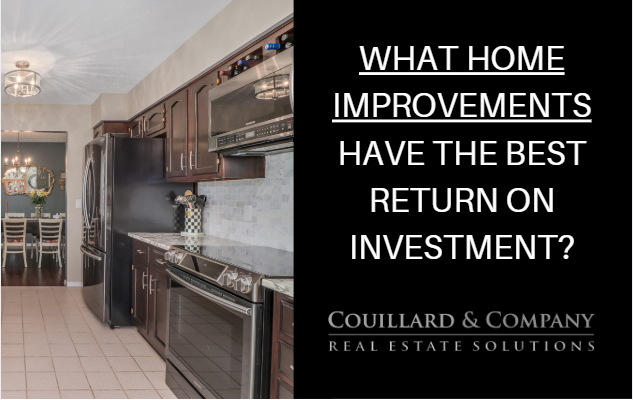 Couillard’s Corner – Which Home Improvement Projects have the Best Return on Investment? Which Home Improvement Projects have the Best Return on Investment? Watch Lindsay Wasowicz, our listing manager and agent, explain which home projects have the best return on investment! Deep Clean – Hire a professional company or get down and dirty and scrub down to the corners! Update entryway – First interior impression! Remove heavy curtains – They block natural light that shows off all of your hard work! Spray down siding/brick to remove grime, cobwebs..